As a nation, we Brits do like to moan about the weather. But I'd like to say, as a man that works outside quite a bit, that this summer has been amazing for weather so far. We've had plenty of sun and plenty of rain so the veg is looking great (if a little weedy) and everything seems to be growing well, bushes full of fruit and young trees all coming along nicely. All completely different to 12 months ago! 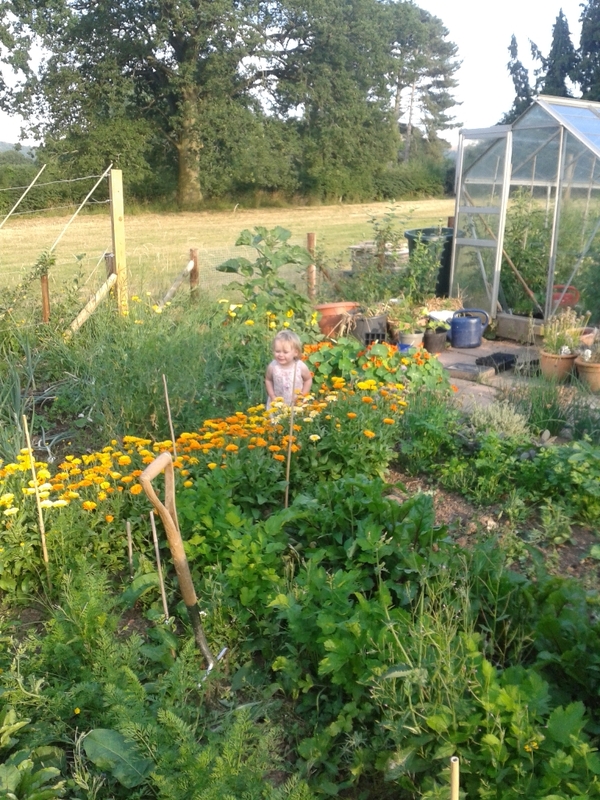 How does everyone elses veg garden look this year compaird to last year? We have had so much rain that it has messed up the tomatoes, garlic, onions and seems to cause weeds to grow twice as fast. I work outside and it doesn't seem near as hot as past years. It has been in the 90s some but often in Virginia, it gets so hot and humid that you can't hardly get your next breath, not this year. I have been cutting my hay with a scythe and haven't suffered much, I wouldn't want to cut firewood though, still too hot for that. Too much rain has dealt an unkind blow to our garden here in Kentucky. Though, we did harvest a few things. Yours does look very good. So weedy I stopped pulling them and started mowing between the rows. Now it looks like I planned these nice green paths!Last ear we had a terrible drought in the Midwest (USA) this year much better. Your veg garden looks great. I only have a small plot and some tubs but that's all I can keep up with. I am still doing very well though. So far broad beans, (done) dwarf beans, scarlet runners a few pots of potatoes. I have outdoor tomatoes too but they were late starters so no crops yet. I bought a small plastic greenhouse last year, never again. !!! Elderly woman trying to catch greenhouse in neighbours garden at 4am in a heavy rainstorm......Not something I wish to repeat. ha ha.